The car is being readied for the Labour Day long weekend, Moomba Races at Albert Park in which Reg did rather well. 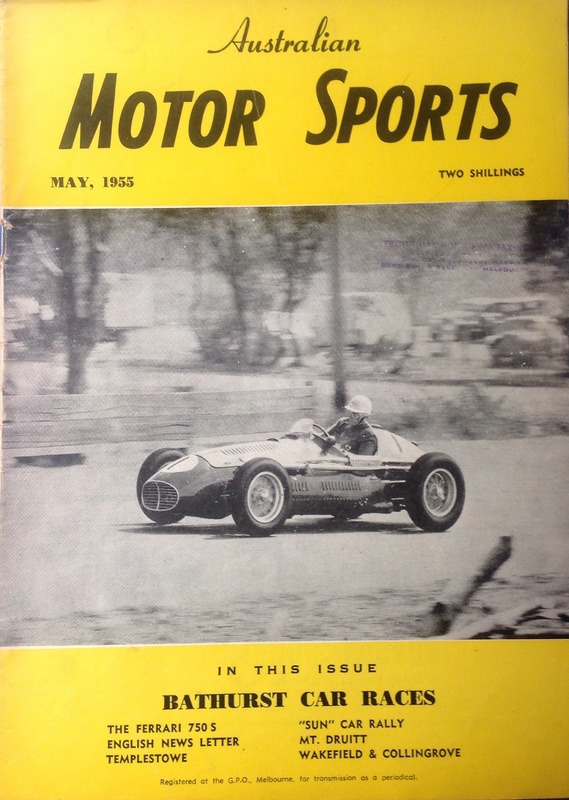 He won the Saturday 50 mile ‘Argus Cup’ from Doug Whiteford’s Talbot Lago T26C and Ted Gray’s Tornado Ford V8. On the Sunday he won the first heat of the ‘Argus Trophy’ and was well ahead in the 100 mile final when the Masers crown wheel and pinion failed, giving the win to Whiteford. Otto Stone, racer/engineer looked after this car, it appears a few ‘technicians’ have been grabbed from Reg’s dealership workshop for this photo taken by the crew of ‘The Argus’ newspaper. 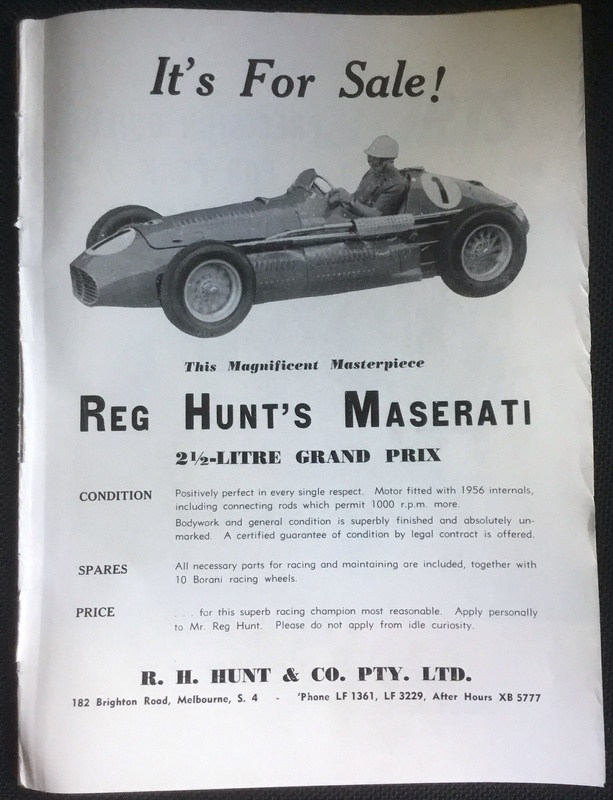 The publication was a major sponsor of the race meeting as reflected in the silverware won by Reg, no doubt they published an article encouraging the crowds to come and see the ‘KLG Maserati, the fastest car in Australia’. After a successful season racing a Cooper 500 in the UK in 1954 Reg travelled to Modena and acquired this ex-factory chassis ‘2038’ to race back in Australia. 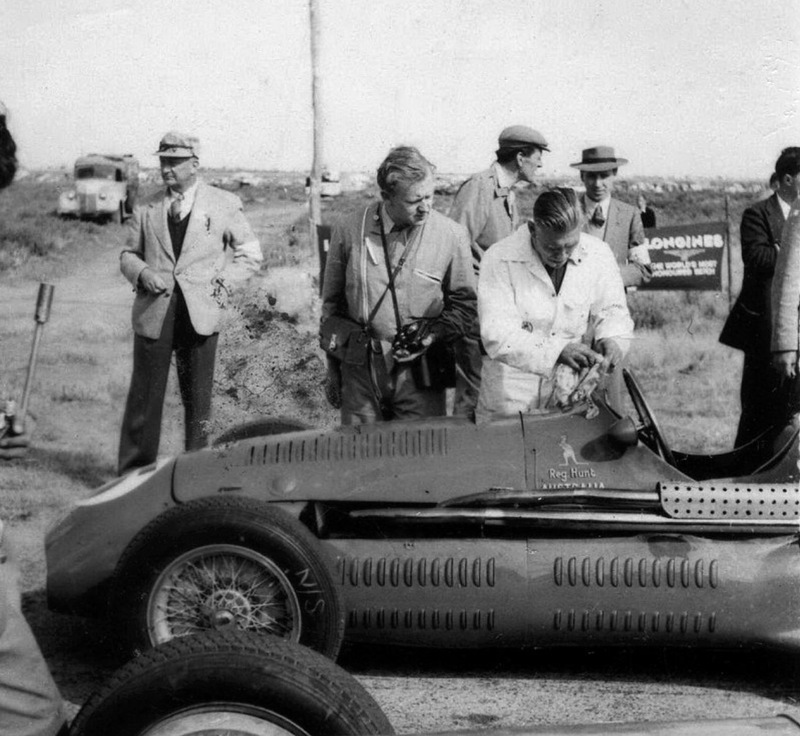 ‘2038’ was originally built as a 2 litre F2 car in 1953- raced by Emmanuel de Graffenreid. 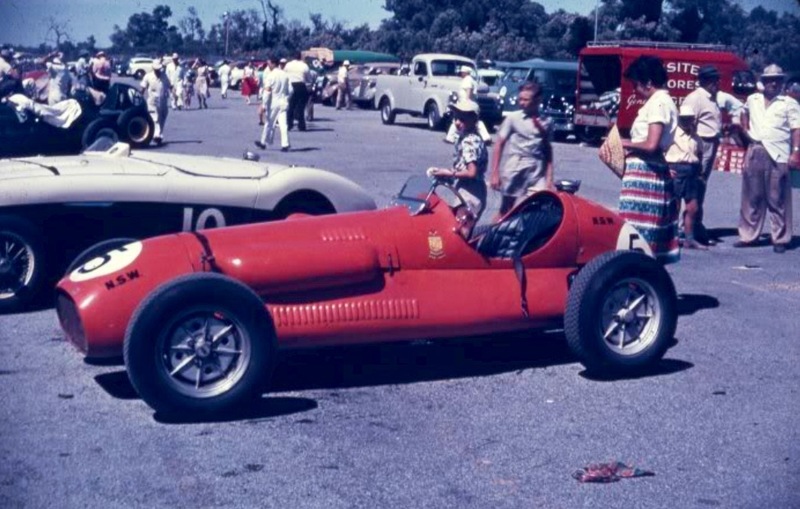 Many of you would know the class of the 2 litre 1952/3 F2/Grand Prix formula- F2, which at short notice became the category to which championship Grand Prix events were run in 1952/3 given the paucity of cars at the start of 1952 with Alfa’s withdrawal from GP racing and BRM’s non-appearance- were the simple, fast, 4 cylinder Ferrari 500’s. 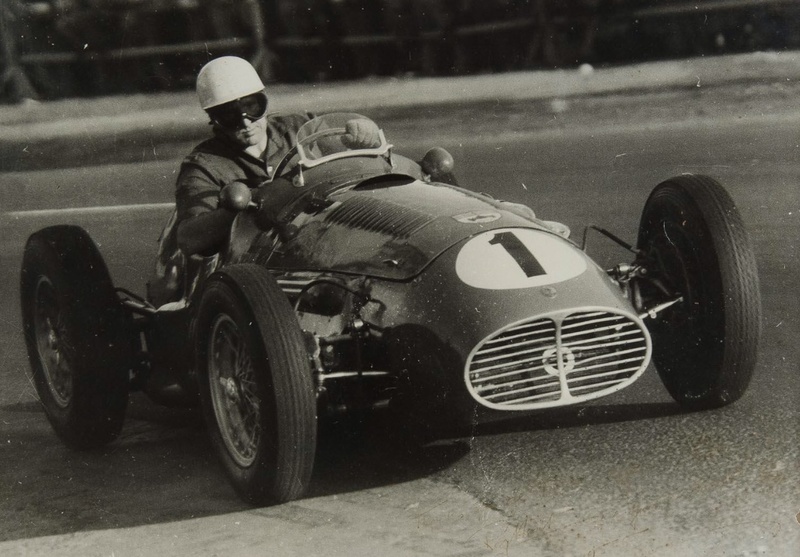 Especially chassis ‘0005’, the car raced by Alberto Ascari to a record number of wins and two World Championships in 1952 and 1953. 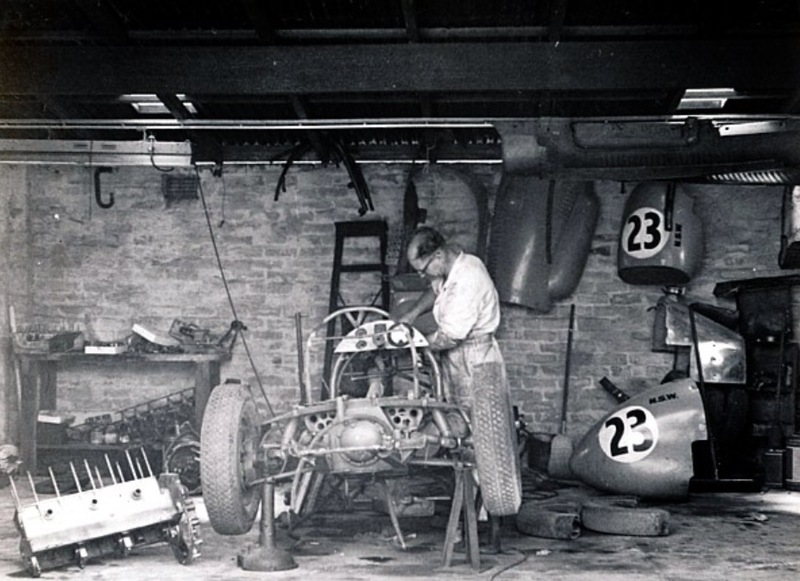 That chassis was sold to Tony Gaze and later Lex Davison, it was an iconic racer in Australia in the fifties. 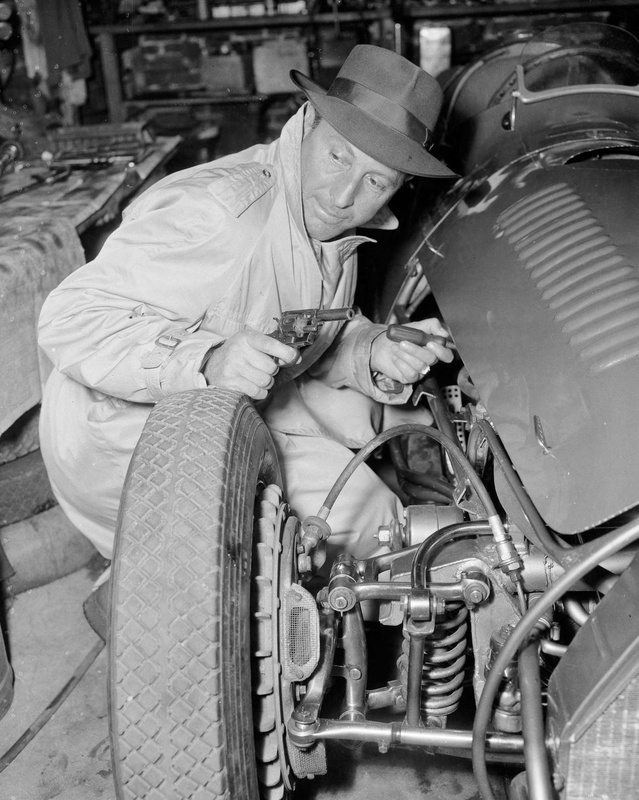 The great engineer Giacchino Colombo joined Maserati from Alfa Romeo for a consultancy which ended about June 1953, he first applied his magic touch to the 1953 A6GCM, squeezing closer the performance gap between the Maser and Ferrari 500. 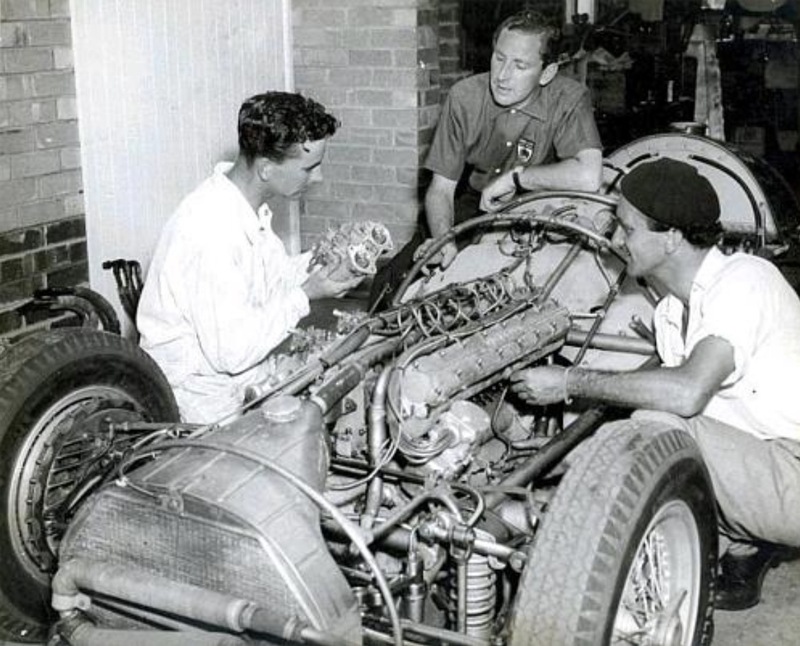 He changed the engine from being square to oversquare, a bore/stroke of 76.22x72mm, squeezing a few more revs and raised the power of the 2 litre, DOHC, 2 valve, 40 DCO3 Weber carbed, Marelli sparked six cylinder engine to circa 190 bhp @ 9000 rpm. Other tweaks were to the suspension- the inclusion of an A-bracket to better locate the rear axle and brakes. 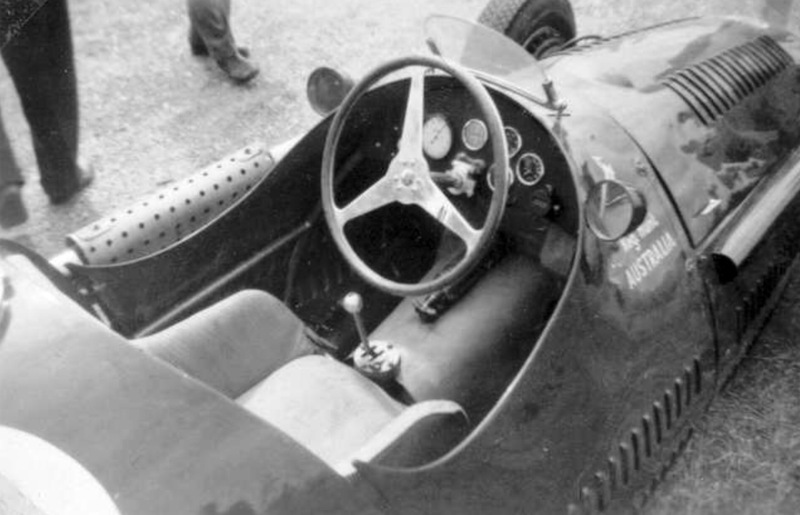 Otherwise the Maserati 4CLT derived twin-tube chassis with hoop shaped bracing at the front and cockpit area, quarter elliptic sprung rigid rear axle with ZF slippery diff, twin front wishbone suspension and excellent Valerio Colotti designed 4 speed gearbox, which mated directly to the engine, were unchanged. 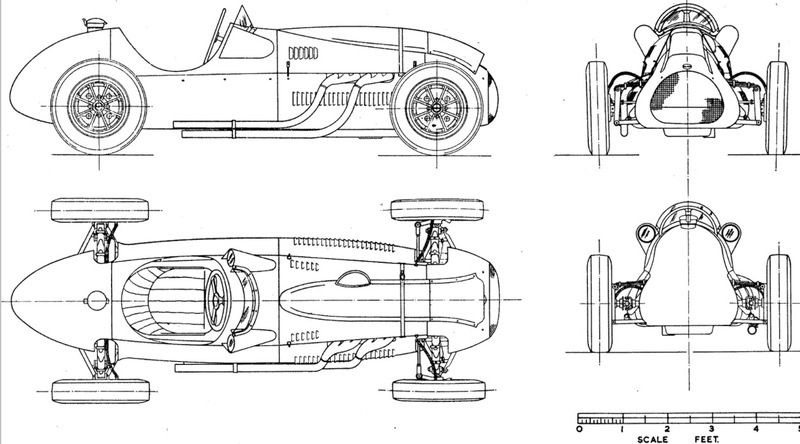 By the end of 1953 it seems fair to say that the high-revving Maser was better suited to the high speed circuits than the Ferrari 500, and whilst the Maser may have had an edge in top speed the De Dion rear end of the Ferrari put its power down more effectively than the ‘cart sprung’ A6GCM. 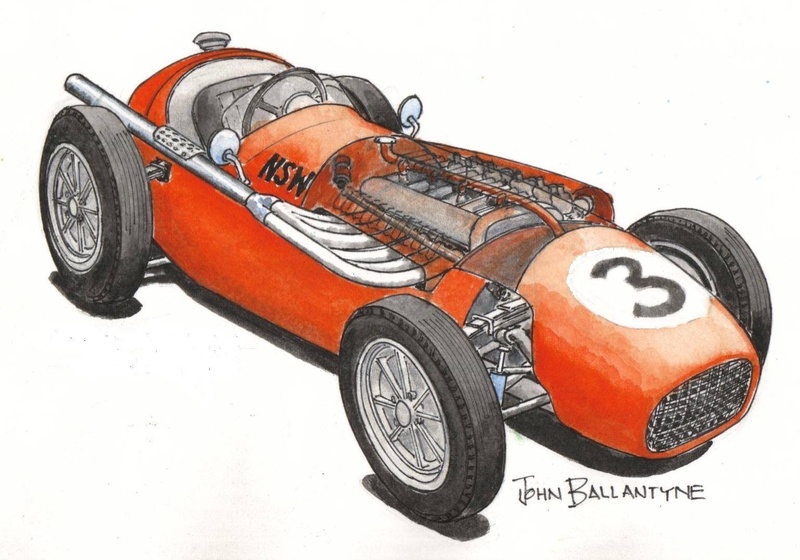 Maserati would remedy this shortcoming with the design of the 250F of course. The talented Swiss Baron’s car was mainly entered by Enrico Plate’s team. 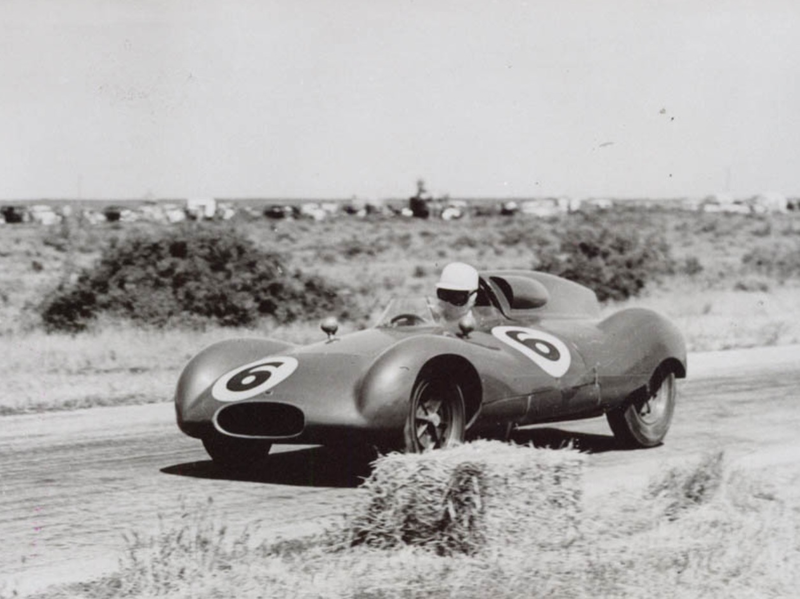 His best results in 1953 were first placings in the Lavant and Chichester Cups at Goodwood, a heat of the International Trophy at Silverstone and the Eifelrennen at the Nurburgring in May. He was also victorious at the Freiburg Hillclimb in Switzerland. At championship level his best result was 4th in the Belgian GP when the car was a works rather than a Maserati-Enrico Plate entry. 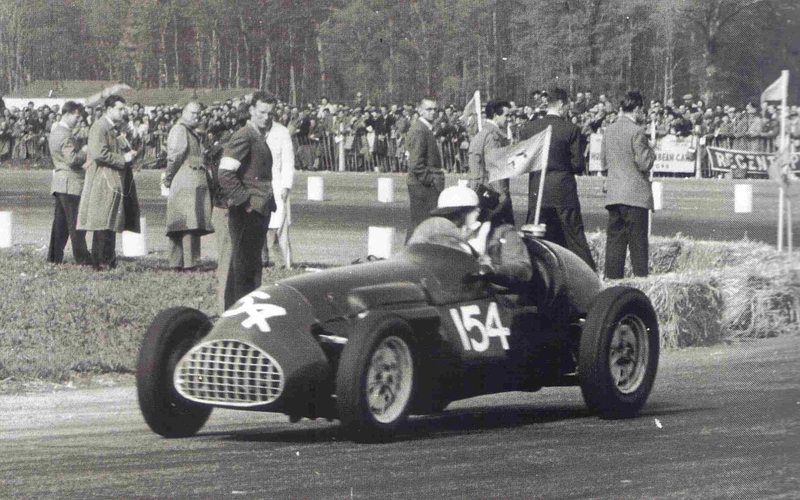 The car was also entered by the works at Zandvoort, the Dutch Grand Prix, two weeks earlier using a new chassis- the car first raced at the Siracuse GP on 22 March 1953. It raced on nine occasions with the original frame. 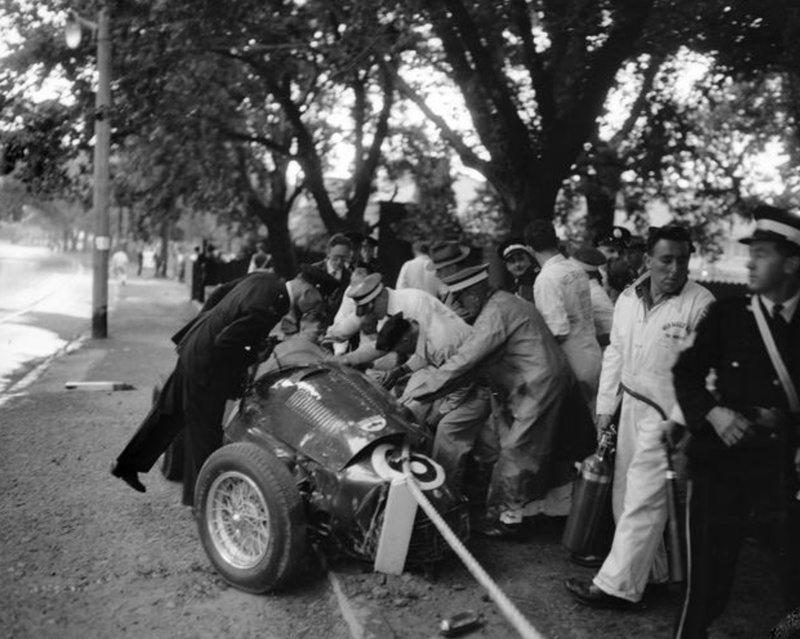 A chassis of the same number is said to have been raced and crashed by Fangio at Monza on 8 June 1952, breaking has neck. The great man crashed 2 laps into his heat as a result of being fatigued after travelling from the Ulster Trophy race, where he drove a BRM. He flew from Belfast to Paris but could not take his connecting flight to Milan due to fog. He drove a Renault 750 borrowed from Louis Rosier all night to contest the non-championship GP of Monza Auto Club. He arrived exhausted, started the race from the back of the grid and crashed on the events second lap having run wide at Lesmo, and then thrown out of the car. 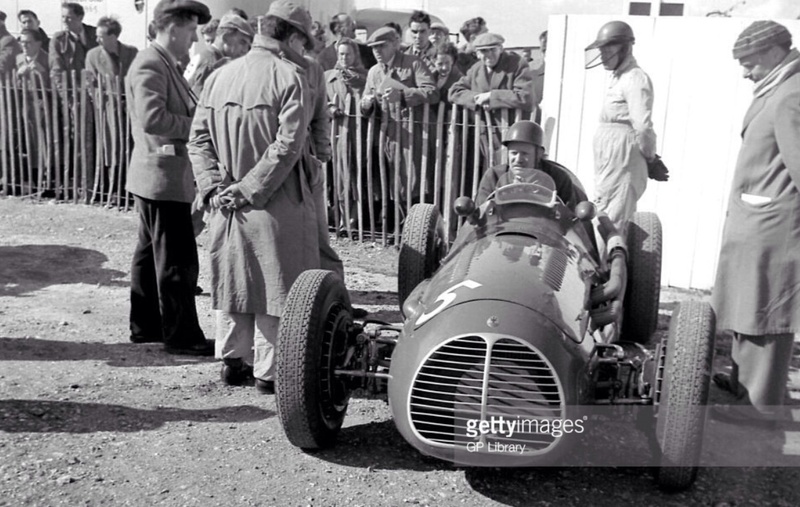 Rebuilt with a Maserati 250F engine, the car was raced during the new 2.5 litre F1 in 1954 by Harry Schell as a private entry with the exception of the Pau GP, when it was works entered. 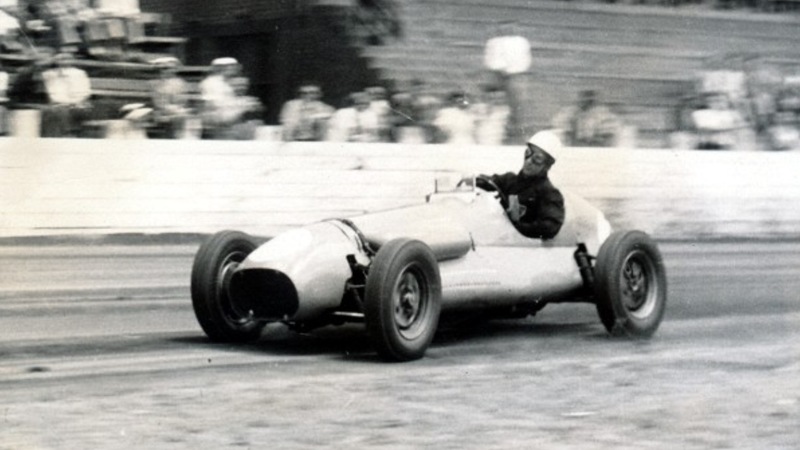 Schell’s best results in 15 races was a 1st in a heat of the Circuit de Cadours, France, 2nd in the GP di Roma at Castel Fusano and 3rds at Aintree’s Daily Telegraph Trophy and the Circuito di Pescara on the wild Pescara road course beside the Adriatic. Schell’s last drive of the car was at Aintree on 2 October, ‘2038’ was sold to Hunt shortly thereafter and was soon aboard the ‘Oceania’ heading for Port Melbourne. Reg was reported as pacing Station Pier anxiously like an expectant father as he waited an hour for the notoriously ‘Bolshie’ Melbourne waterside workers to carefully unload his precious car on Friday 31 December 1954. 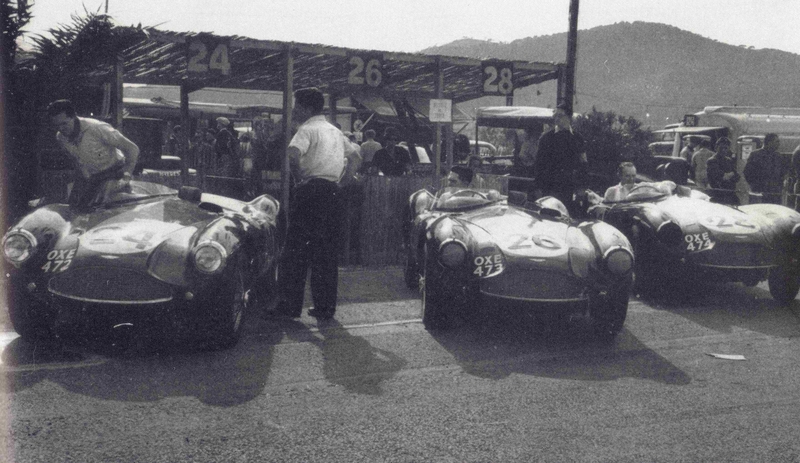 In the best tradition of this series of cars, the A6GCM and 250F, there are quite a few variations on the chassis theme, that is, which one is which. I reference the 8W: Forix records as the most authorative source drawing together research of recent decades, particularly the exhaustive, scholarly, work of David McKinney and Barrie Hobkirk. The sharing and debating of evidence on the internet is a luxury not available to earlier 250F authors. Click below for all of the detail you could wish for, chassis by chassis and author by author including the way the views of the same author changed over time as more exhaustive research was undertaken allowing them to re-appraise conclusions they had earlier reached. 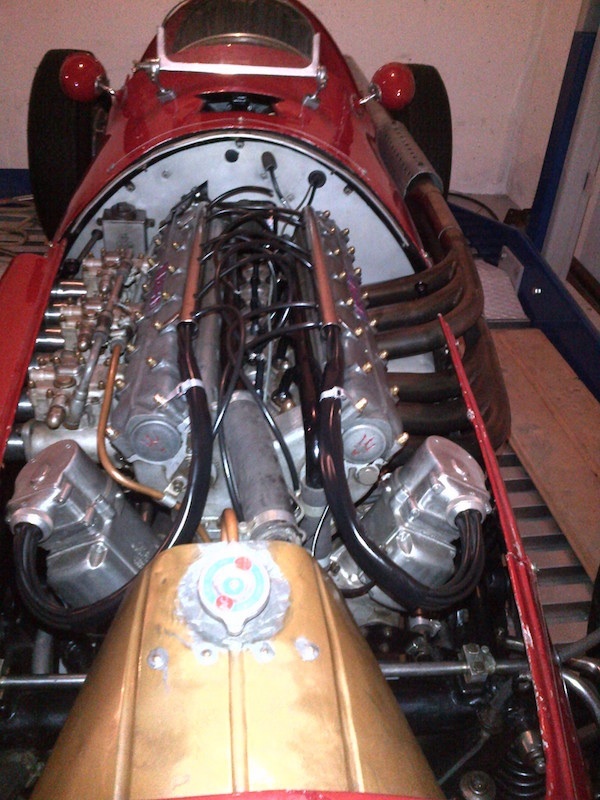 Chassis ‘2038’ was never allocated a 250F number when fitted with the 2.5 litre engine- although chassis ‘2503’ is the number occasionally cited. Nye concludes in relation to ‘2503’ ‘Serial never applied to a true 250F’, McKinney ‘Never built as a 250F’, Pritchard ‘Number not used’. Given the foregoing, to be clear, ‘2038’ was built in 1953, or 1952 as a 2 litre A6GCM. Fitted with a 2.5 litre 250F engine, but otherwise the same in specification, ‘2038’ is one of the ‘interim A6GCM/250F’ chassis. 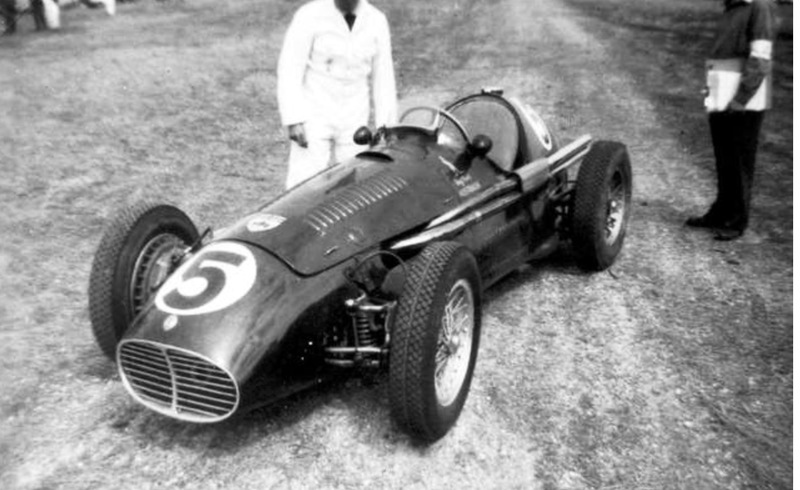 The car arrived in Melbourne in late 1954, Reg soon shook it down at Fishermans Bend before popping it back on a boat to contest the 1955 NZ GP at Ardmore. He was immediately on the pace qualifying 4th, was 2nd in a heat and ran 2nd to Prince Bira’s 250F until fading brakes slowed him, finally finishing 5th. Back in Australia the car was the quickest device around winning the Victorian Trophy at Fishermans Bend, the Bathurst 100 scratch race and was hot favourite for the Australian Grand Prix at Port Wakefield in October but was slowed by a cam follower problem- he was 2nd to Brabham’s Cooper T40 Bristol having led initially. 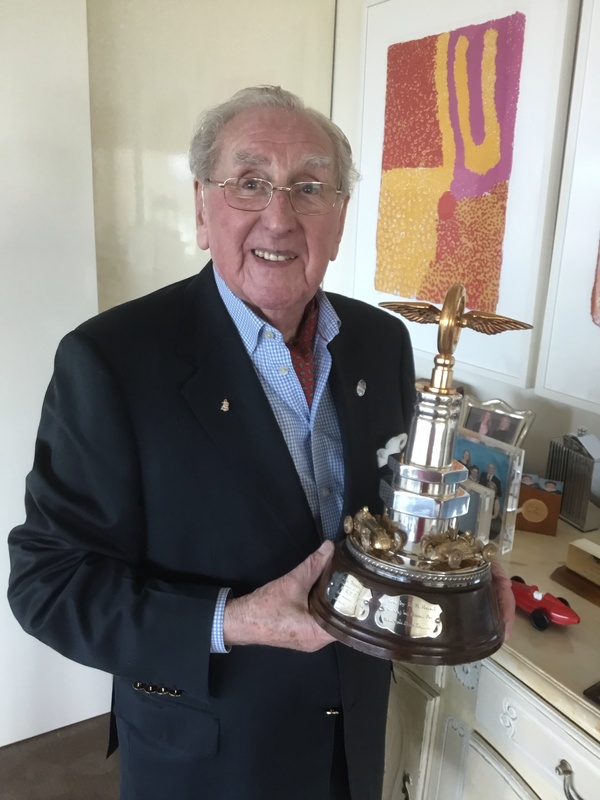 In November the car won two events at Fishermans Bend- the ‘Racers Trophy’ and ‘Lucas Trophy’ both from Lex Davison’s HWM Jaguar. Lex was soon to acquire the Tony Gaze Ferrari 500/625 with which he is so readily associated. 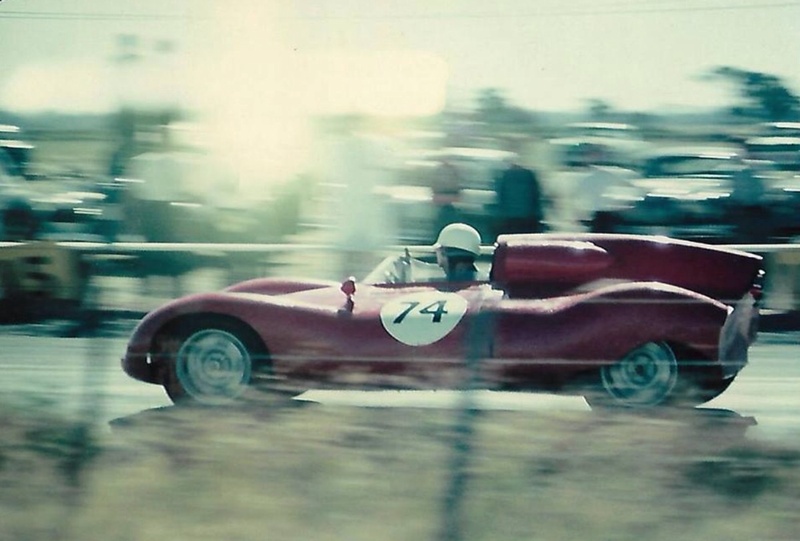 The Maser was sold to Melbourne haulier Kevin Neal after Reg’s 250F ‘2516’ arrived in early 1956- the car was badly damaged in the ’56 AGP at Albert Park when Neal lost control during a shower of rain late in the race. Looking as elegant as ever, beautifully repaired, the car reappeared again at a minor sprint meeting at Eildon in country Victoria in 1960. The car was sold to Melbourne’s Colin Hyams in 1962, he used it occasionally, as below at Fishermans Bend. The car then went to the UK in 1965, passing through the hands of Colin Crabbe and Dan Marguiles to Ray Fielding in Scotland in 1972. After many years owned by him and his estate ‘2038’ now resides in a private Swiss collection. The photos below via David Zeunert are of the car at home in Switzerland. A mystery to solve folks! Since posting the article, reader Michael Hickey posted these amazing photos of ‘2038’ in an Australian movie, or perhaps more likely, TV show on the primotipo Facebook page. He found the shots on the Museum of Victoria website but they are devoid of details. 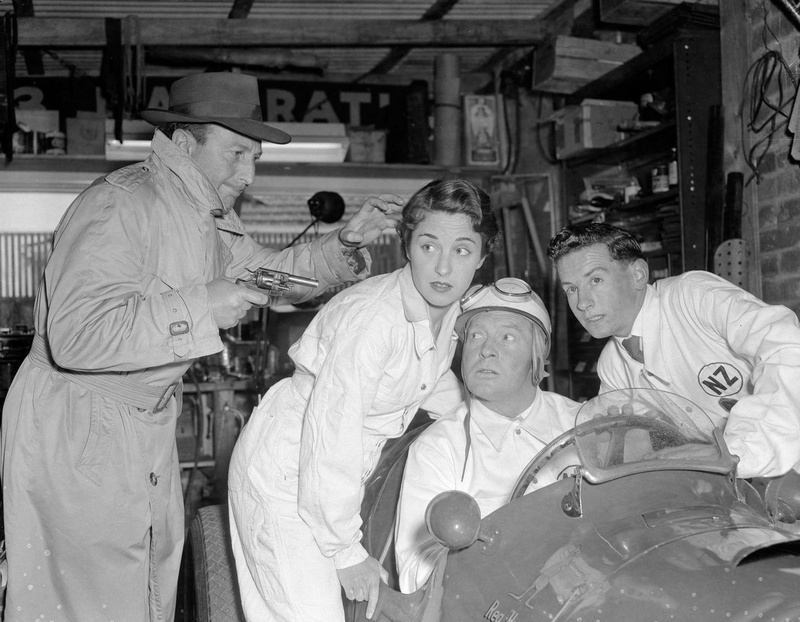 Tony Matthews thought the ‘driver’ of the car may be Bob Hope- it certainly looks like him. I’m not sure that he did any movies in Australia though. The ‘driver’ could be Charles ‘Bud’ Tingwell, a distinguished but now deceased Australian actor. He was in dozens of movies throughout a long career, the most iconic perhaps ‘The Castle’. I don’t recognise the babe, mechanic or baddie. I can’t make the films Tingwell appeared in work with the photos mind you. Which means it isn’t Bud or perhaps the scenes are from a TV show. You can just make out Reg’s name on the car in the first shot, the limited caption information dates it as October 1955. TV didn’t commence in Australia until the second half of 1956. All ideas or the definitive answer appreciated! Posted: July 28, 2017 in Icons & Iconoclasts, Who,What,Where & When...? 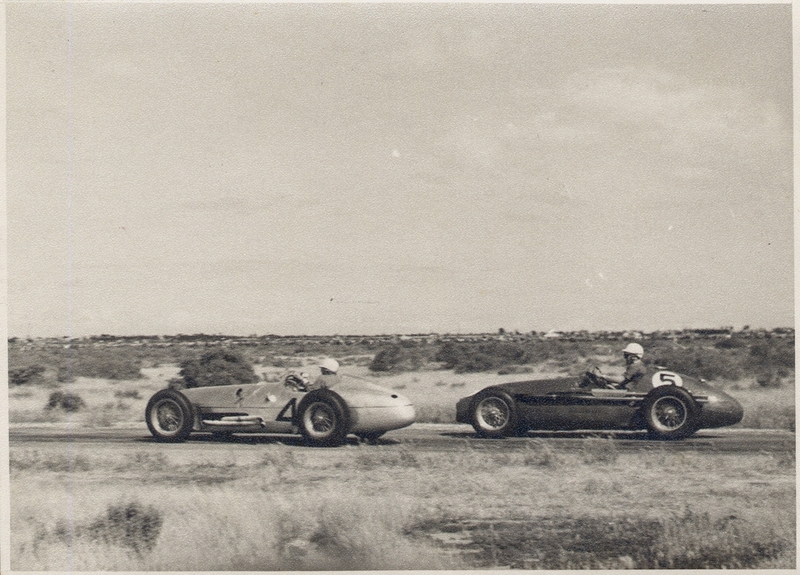 The two cars were arguably Australia’s greatest special and production racing car at the time. Mind you the ‘special’ descriptor belies the ‘tool room’ quality of the Maybach series of cars in terms of both design and execution by Charlie Dean and his team at Repco Research in Melbourne. 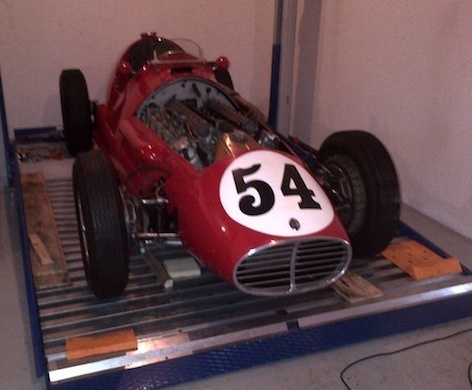 The Maserati A6GCM and 250F family are members of one the greatest series of production racing cars ever built. Not that either of them won this particular contest mind you! Brabham had luck that weekend in South Australia in a car which later became notorious for its unreliability- he won the race after the retirement of, or problems encountered by some of the races ‘heavy metal’ including Jones ‘works Repco’ 3.8 litre Maybach, Hunt’s Maser 250F engined Maserati A6GCM and another Melbourne motor-trader, Doug Whiteford’s 4.5 litre Talbot-Lago T26C. 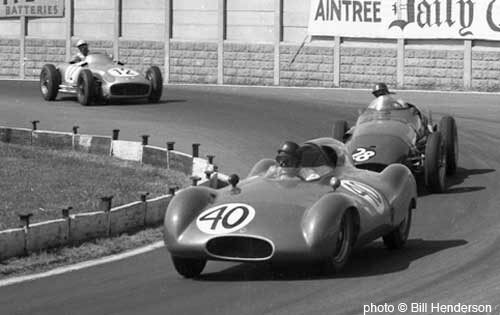 Hunt and the Maser were the form combination at the time, Reg took the lead from Jones on lap 1 and lead the race convincingly until the failure of a finger type cam follower forced the Maser onto 5 cylinders, Brabham was soon past into a lead he held for the races duration. Jones had clutch dramas, with Whiteford 3rd, behind Hunt, in a car which raced too late after it’s initial arrival in Australia- devoid of some of the trick bits Doug paid for, shifty furriners! 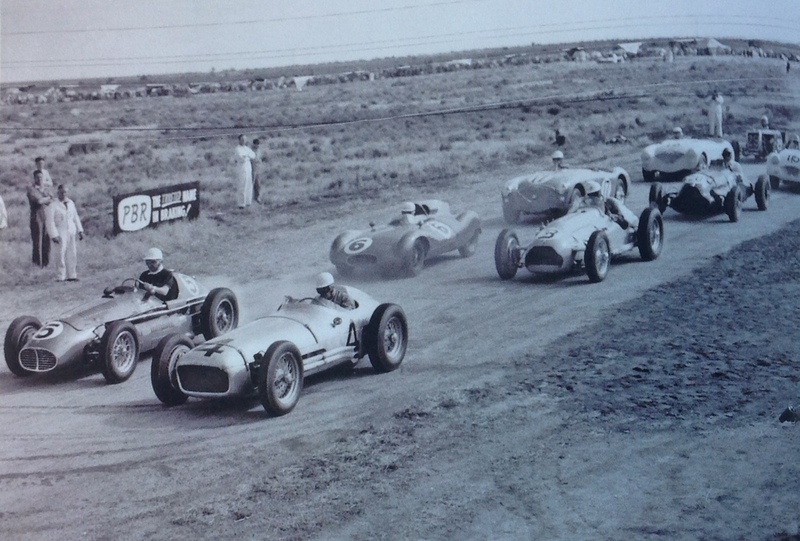 The 80 lap, 104 mile event was the 20th AGP and noteworthy as the first on a bespoke purpose built circuit, Port Wakefield is 100Km north of Adelaide in flattish, coastal, saltbush country. 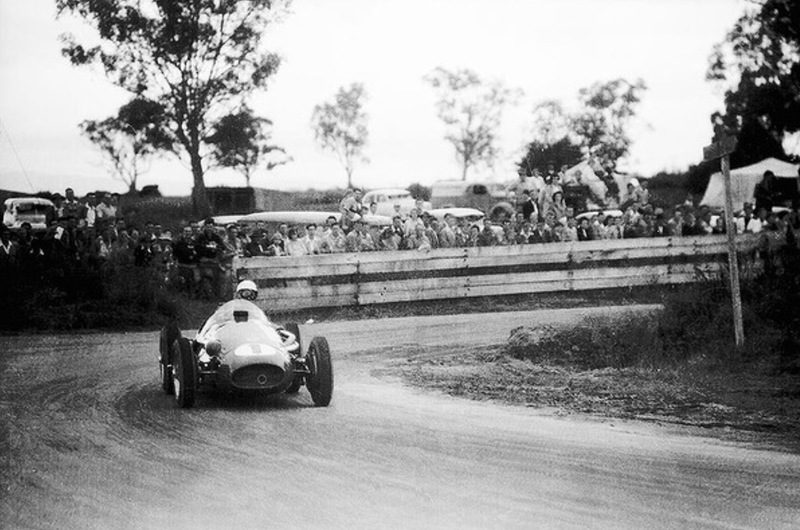 Previous Grands Prix in Australia were on closed roads or airfields. Port Wakefield, 1.3 miles in length, was used from 1953 to 1961, when Mallala, built on a disused Royal Australian Air Force airfield became the main South Australian circuit. As a cursory glance of the mix of competitors shows, the race is a Formula Libre event. 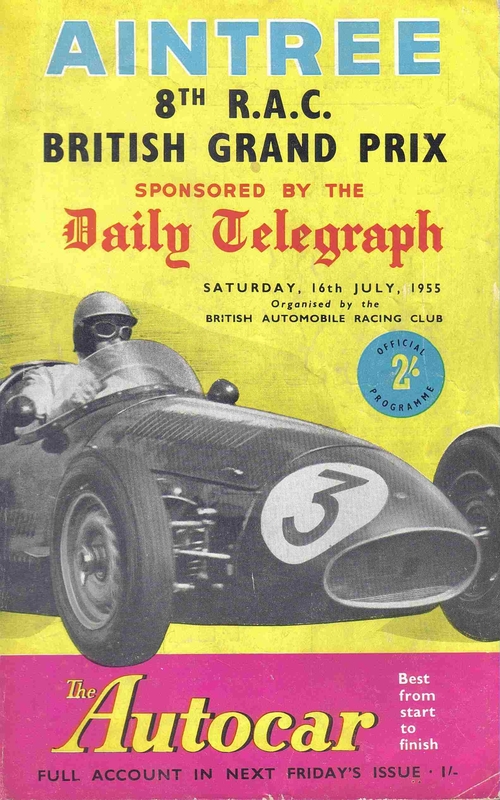 On the second row is Brabham’s streamlined, central-single seater Cooper T40 Bristol and multiple AGP winner Doug Whiteford’s Talbot-Lago T26C. Rather a neat contrast of post, and pre-War technology? On the next row is the Austin Healey 100 of local South Australians Greg McEwin and Bill Wilcox’ Ford V8 Spl. Desolate flat, saltbush country clear. 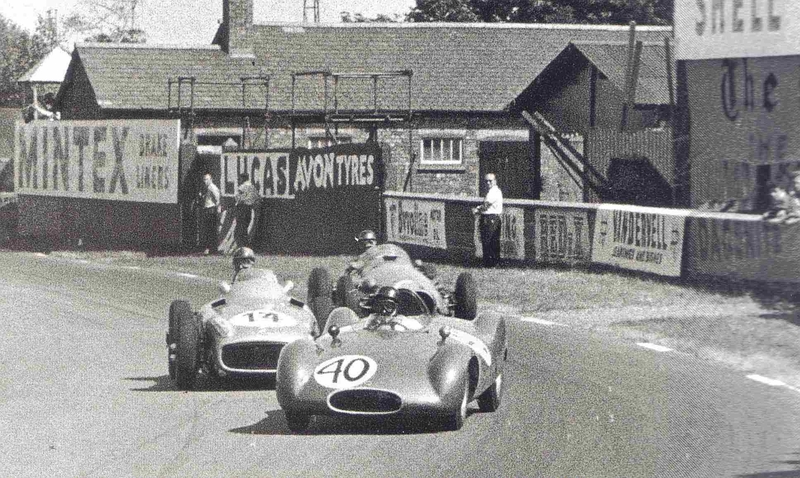 The WM Holden is the prototype ex-John Cooper/Mike Hawthorn/ Bernie Ecclestone/Stan Coffey Cooper T20 Bristol # CB/1/52 acquired damaged by Myers, rebuilt, fitted with a Holden 6 cylinder ‘Grey Motor’. The standard OHV iron head was replaced by an alloy DOHC, head developed by incredibly talented Sydney engineer Merv Waggott- and then renamed WM (Waggott Myers) Holden. 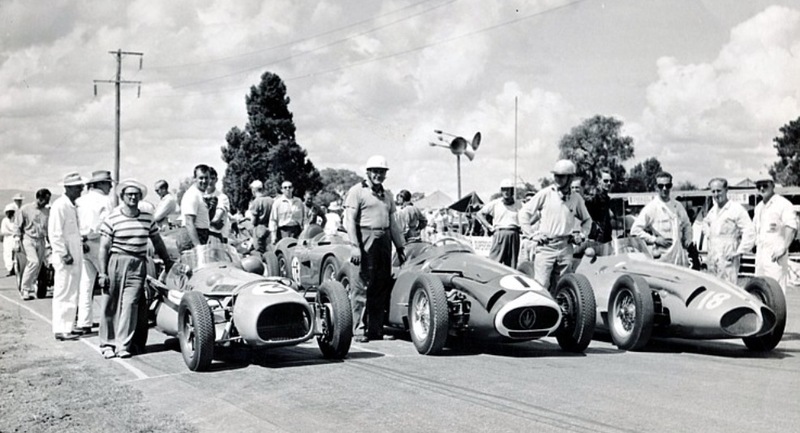 Moss was in Australia to race factory Maseratis’ in the Australian Grand Prix carnival at Albert Park in Melbourne, a two week event during which Moss won the AGP in a 250F and Australian Tourist Trophy in a 300S. 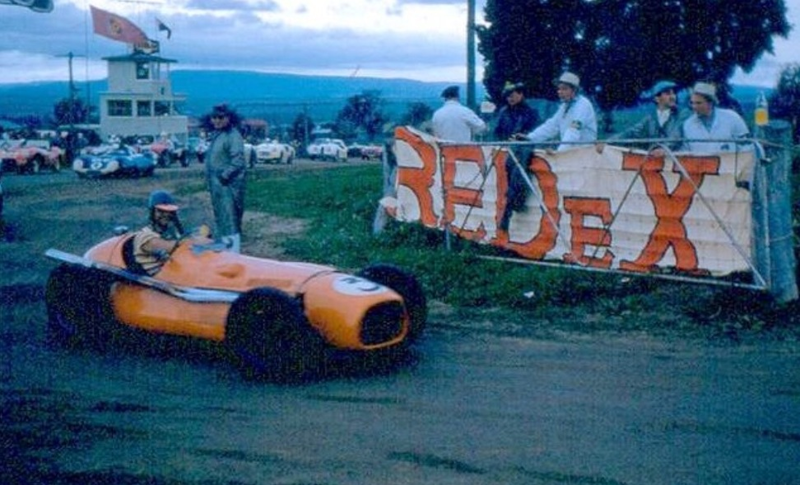 Quite how he came to drive Myers car at Cumberland Park in Sydney is a bit of a mystery but was perhaps part of a fuel company promotion, I am keen to hear from any reader who knows the story. 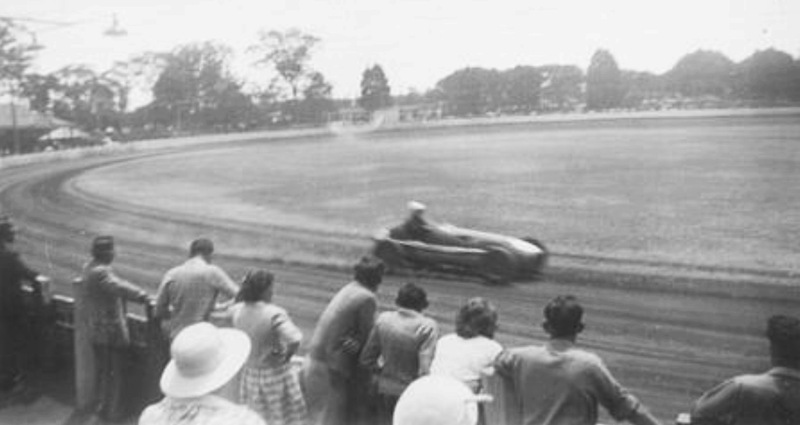 Moss didn’t race the Cooper but did a number of demonstration laps around the quarter mile speedway on the outside of Cumberland Park, which was also used for cricket and rugby. 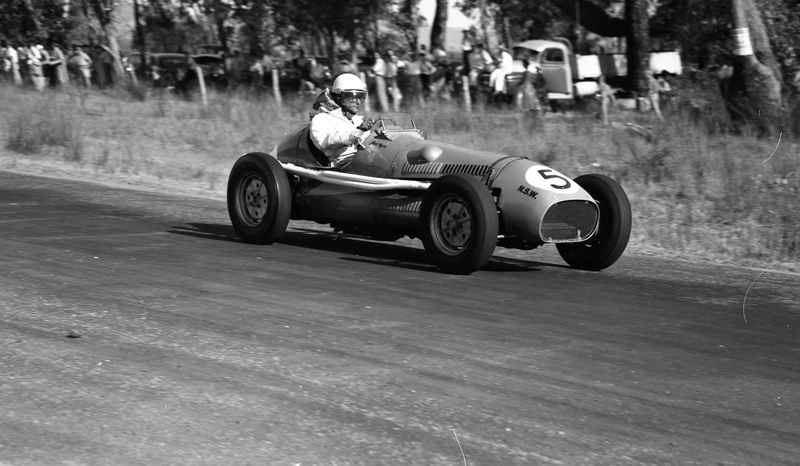 Jack Myers also contested the Australian Grand Prix at Albert Park, the WM finished 12th lapped several times by the Moss 250F. The cylinder head was initially fed by 6 Amal carbs but these were later replaced by 6 1 3/4inch SU’s. 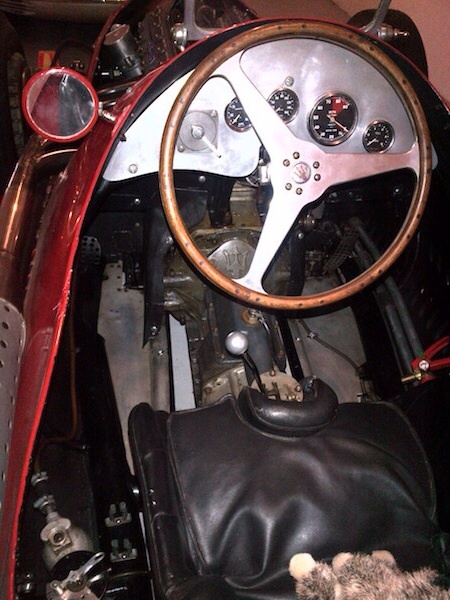 The engine developed around 197bhp at its peak making the car an outright contender in its day. ‘Grey Motor’ was the colloquial name of these engines which, painted grey, were first fitted to the ’48-215′ or FX Holden, General Motors first Holden sedan built in Australia. Later iterations of the Holden OHV straight 6 were ‘Red Motors’ and ‘Black Motors’ as the blocks were, you guessed it, painted red and black. The standard ‘Grey’ displacement was 132.5 cubic inches or 2170cc- the 6 cylinder OHV, 7 main bearing, single Stromberg carb engine produced 60bhp in standard form. The Waggott engine’s block, crankshaft and conrods were made by GMH (General Motors Holden) but the head, pistons, dry sump lubrication system and other components were made by Merv Waggotts’ business. Capacity was increased to 2440cc with the camshafts driven by chain from the crank. 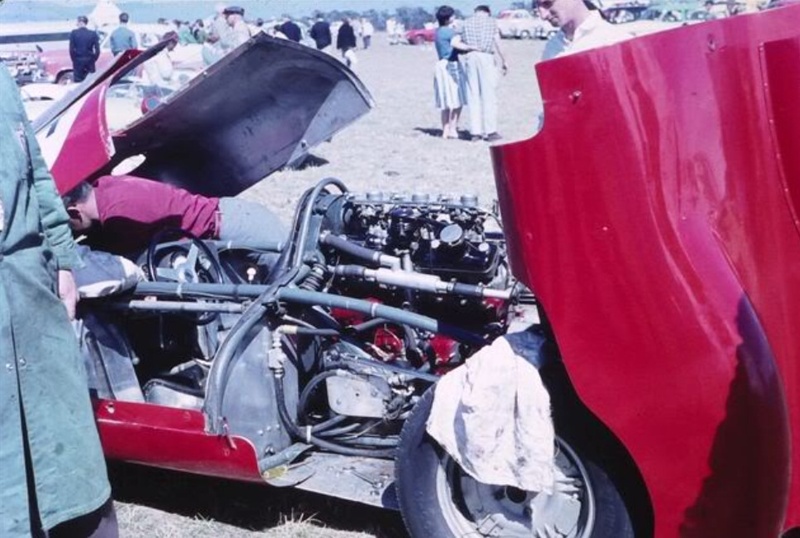 Six or seven heads were built in total, the engine won the Australian GT Championship for Queenslander and later ‘Bathurst’ winner John French in his ‘Centaur’ in 1962. The market for the heads essentially dried up when the new touring car/sedan racing regulations of the day, ‘Appendix J’ did not allow changes to cylinder heads other than modifications to standard heads. Waggott built modified Holden heads to these rules as well. The WM/Cooper used an MG TC gearbox with specially cut gears, the differential was initially a Holden ’48-215′ unit but this was later replaced by a Ford V8 component. 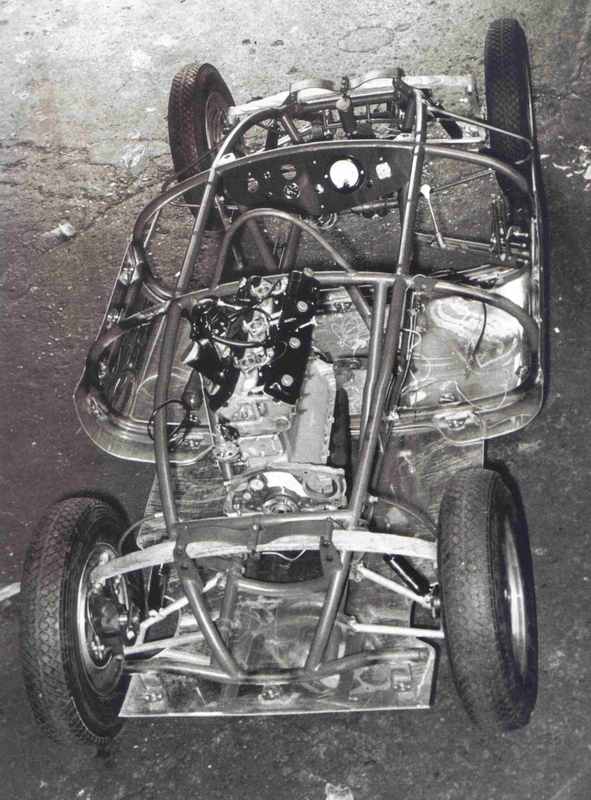 Suspension was standard Cooper, most of the damage to the car was to the body hoops and the body itself which was repaired by the talented Myers. It reapppeared after repair and installation of the Holden engine at Bathurst in October 1956. In November he attacked the Australian Land Speed record setting a new mark for Class D at 25.46 seconds for the standing kilometre. Moss ran the car at Parramatta shortly thereafter and the week after that Myers finished 12th in the AGP at Albert Park. Moss and the car were reunited many years later. 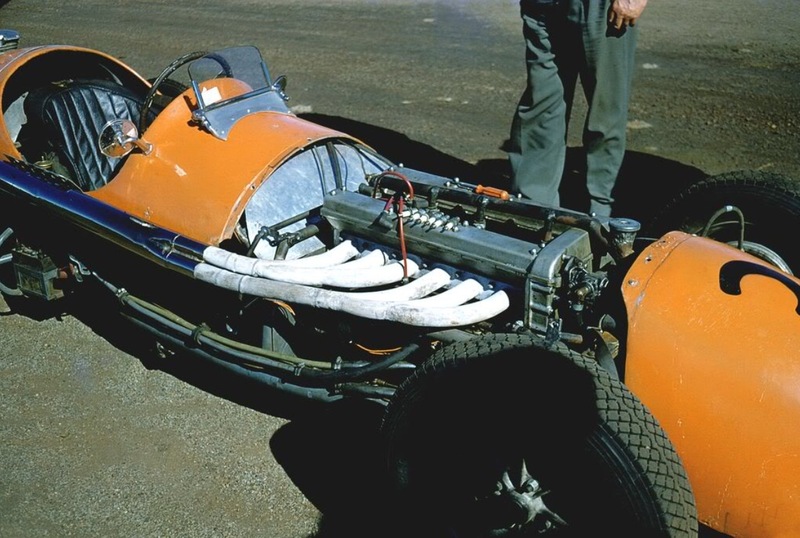 The car overheated in the scorching hot 1957 AGP at Caversham WA, the chassis was replaced after an accident at Bathurst in 1957 when Jack bounced the car from bank to bank going into Forrest’s Elbow. This time the car was rebuilt from scratch, the team constructing a new tubular frame to replace the original box-section chassis. 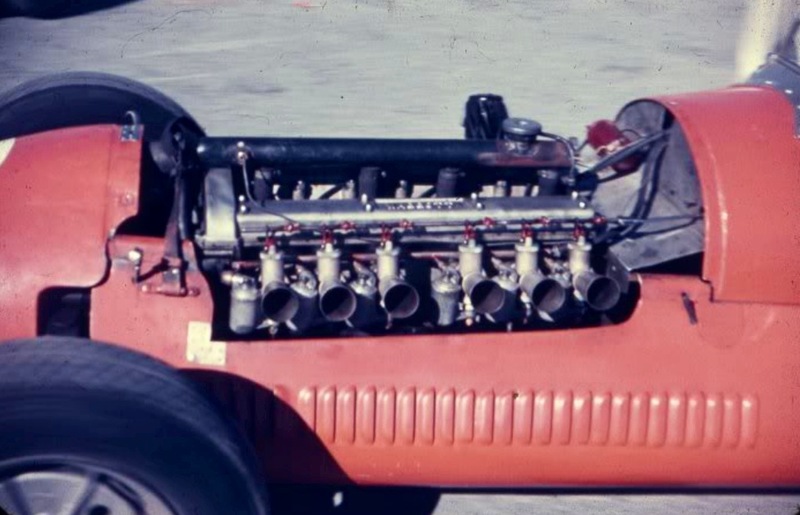 John Blanden records that Myers had completed the rebuilds of the McMillan Ferrari Super Squalo and Jack Davey D Type Jaguar chassis and incorporated some ideas from those experiences including lowering the engine by 3 inches. The suspension was re-designed but still used many Cooper parts, a quick change diff was built by Myers and D Type clutch incorporated. 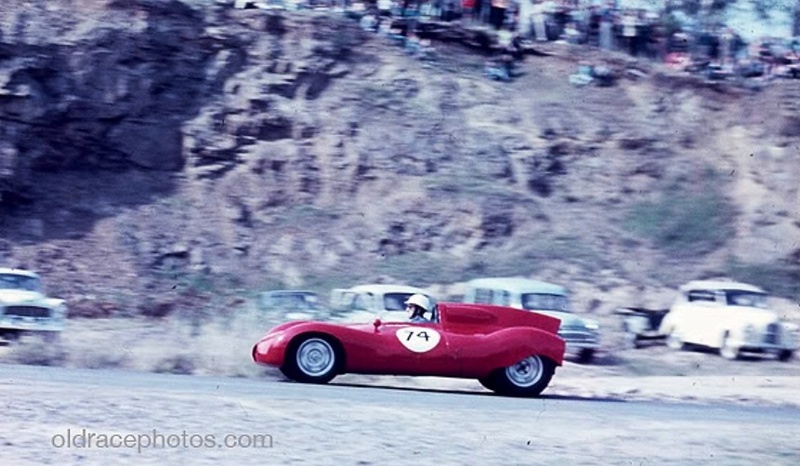 The WM was immediately successful, going even faster still when fitted with disc brakes, it finally ‘met its maker’ at Bathurst in October 1960 when Jack ended up in a ditch on the way into The Cutting escaping injuries but the cars chassis and suspension were badly damaged. The WM was split up and its core components sold. Myers was sadly killed in a race at Catalina Park, Katoomba, in the Blue Moutains outside Sydney not long afterwards. 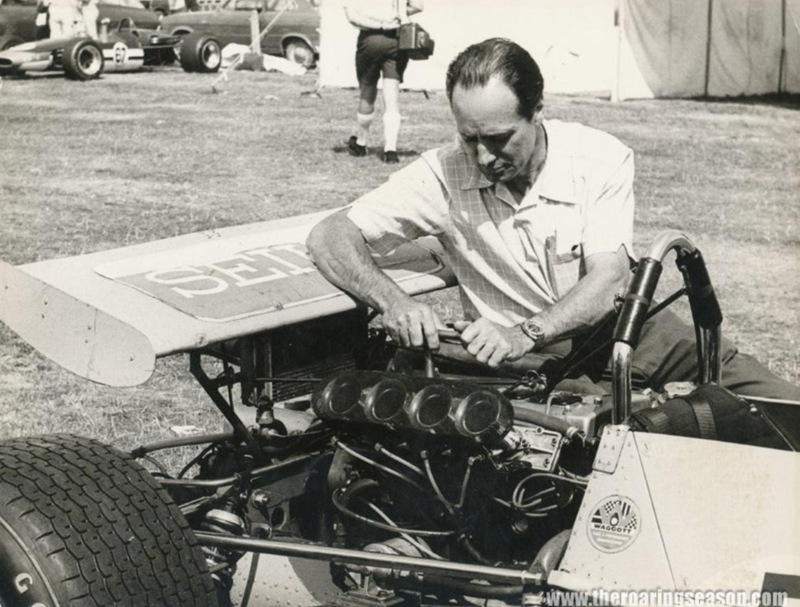 In 1962 Syd Fisher bought the remains of the car and fitted a Chev Corvette 283cid engine, Alvis gearbox, Halibrand type quick change rear axle to which a ZF limited slip diff was fitted, achieving 7th in the Victorian Road Racing Championship in 1963. The car passed through others into the caring hands of John Emery and then to Gavin Sandford-Morgan in 1972. 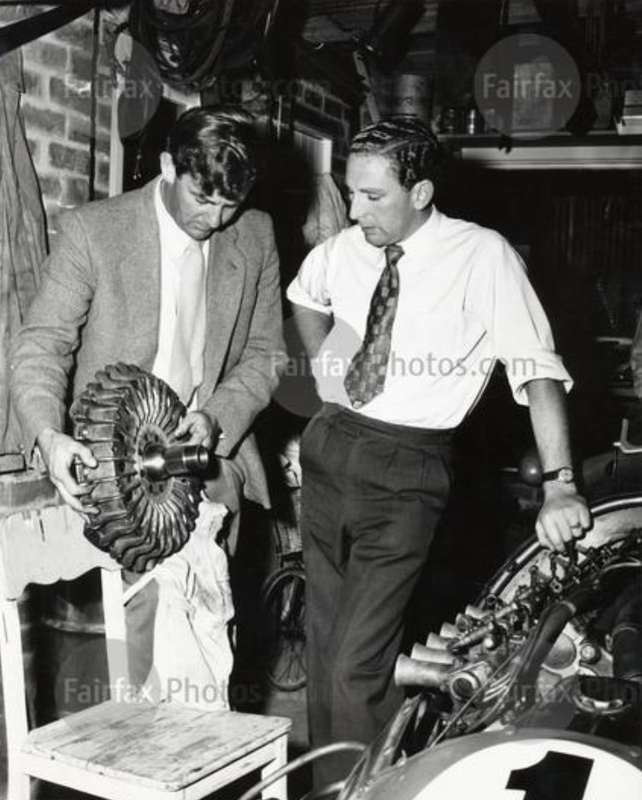 There it was rebuilt by a dedicated team of volunteers at the Birdwood Mill Museum outside Adelaide to its Jack Myers spcification including the Waggott engine, the car making its debut at the 2000 Australian Grand Prix where it was driven by Stirling Moss, exactly as it was at Parramatta in 1956. 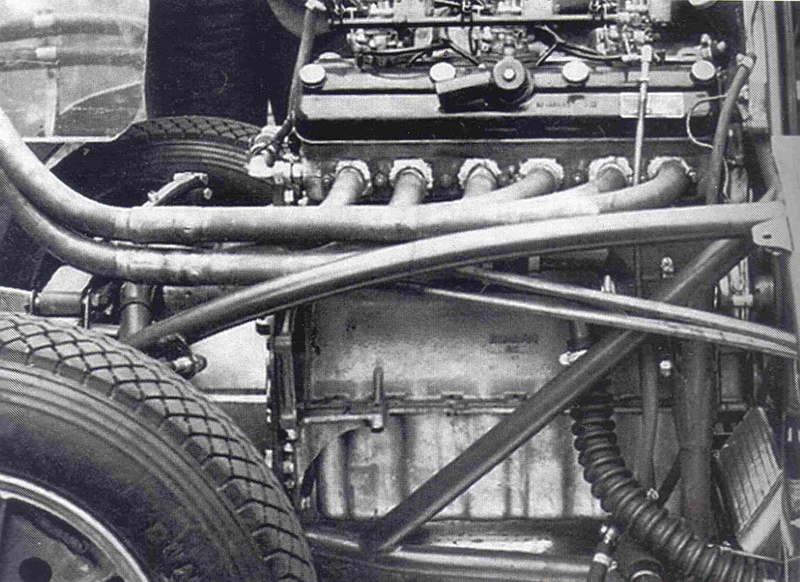 Merv Waggott developed his own 4 cylinder, DOHC four valve, fuel injected engine in the late ’60’s…in capacities of 1.6, 1.85 and 2 litres, the smaller engines used Ford Cortina blocks, the 2 Litre used aluminium bespoke crankcase and cast iron block developed by Waggott Engineering. These engines won many races and championships including the 1969, 1970 and 1971 Australian Drivers Championships, the ‘Gold Star’ for Kevin Bartlett, Leo Geoghegan and Max Stewart in the Mildren ‘Yellow Submarine’, Lotus 59B and Mildren Waggott chassis respectively. I will write about this engine in detail at some point. Waggott Engineering still exists however Merv Waggott died in an ultralight plane accident in 1992. Doug Nyes’ research for the book ‘Cooper Cars’ found this car to be the prototype T20 which was shown to the press in January 1952. 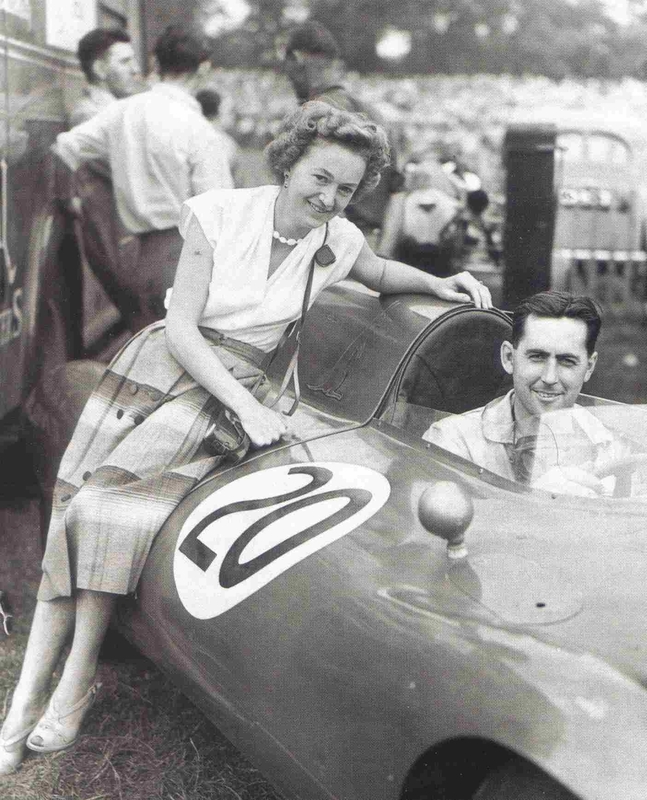 John Cooper drove it on its debut at Goodwood on 14 April 1952. 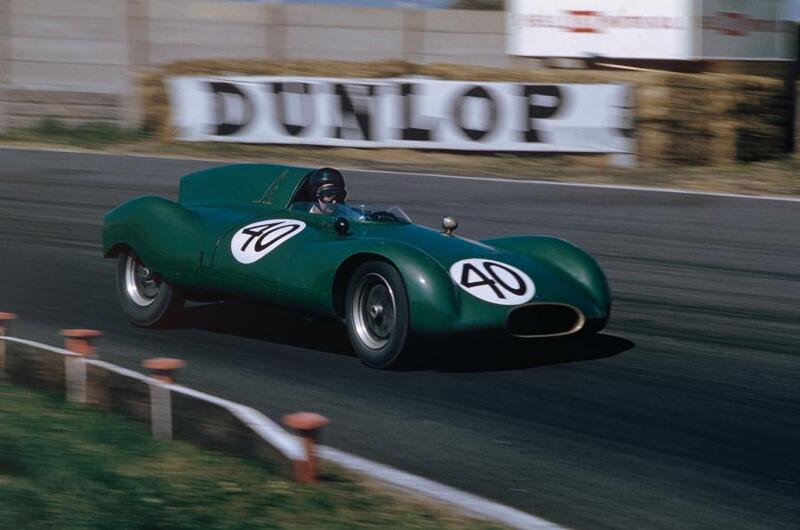 It was also driven by Reg Parnell, Mike Hawthorn- whilst he awaited delivery of his own T20 and Bernie Ecclestone before being sold to Fred Tuck, a Brit who raced the car in the New Zealand Grand Prix in 1954. 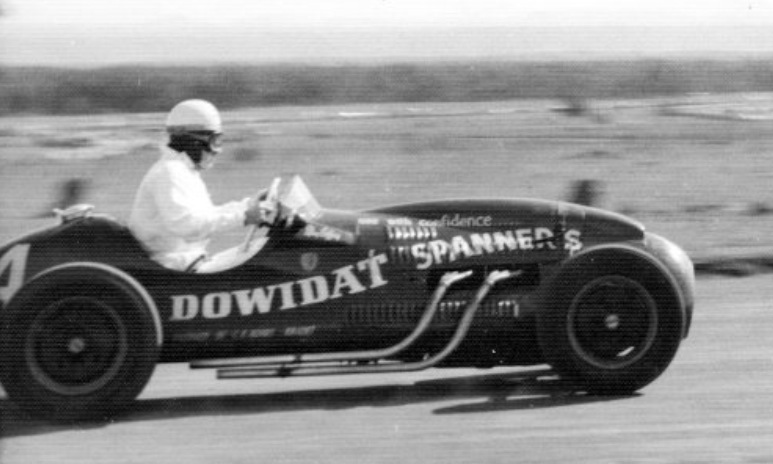 During that trip the car was sold to Sydney’s Stan Coffey who raced the car as the ‘Dowidat Special’, in deference to his sponsors, a manufacturer of hand tools. 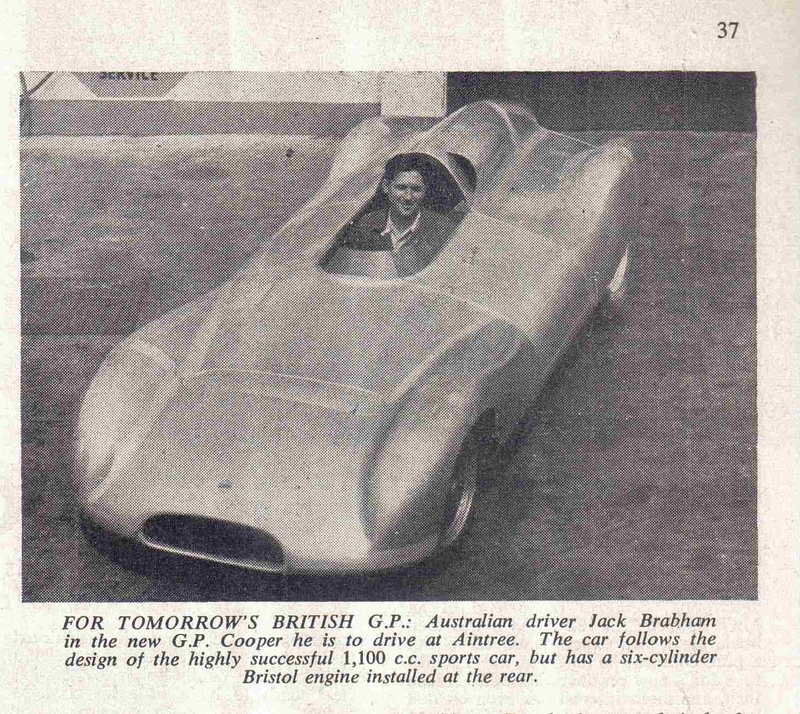 Amongst Coffey’s competitors was Jack Brabham in the ‘Redex Special’, a Cooper T23 Bristol. 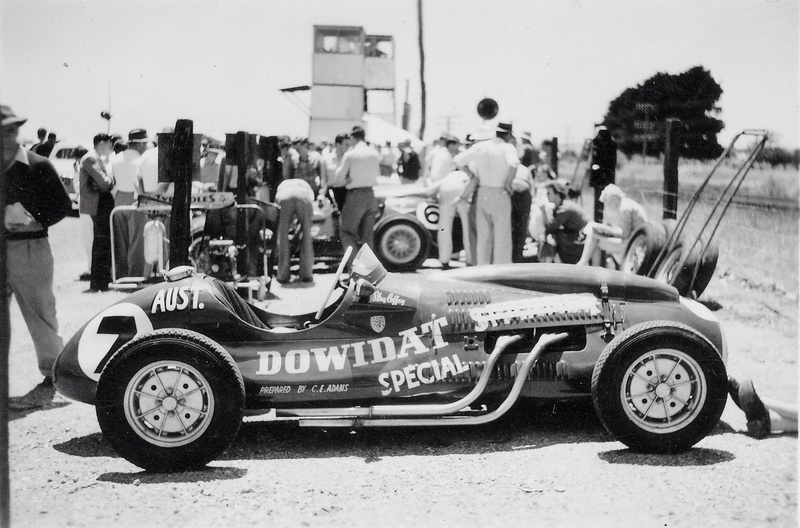 Coffeys results were not startling but he finished 8th in the 1954 AGP at Southport, Queensland. 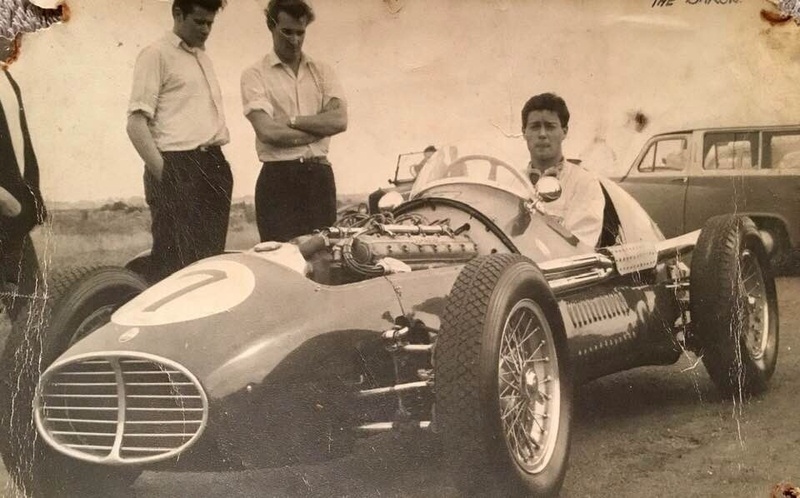 He raced the car little in 1955 but contested the AGP at Port Wakefield, South Australia, Brabham winning the race in the Cooper T40 Bristol ‘Bobtail’ he had built in time for the ’55 British GP. Coffey rolled the car halfway through the race, the car left the track and ‘tripped’ on the grass verge. Stan broke his nose but was otherwise uninjured selling the car to Myers in ‘as is’ condition. The car was taken to Myer’s, Maroubra, Sydney workshop where its rapid transformation to Waggott Holden power was completed. 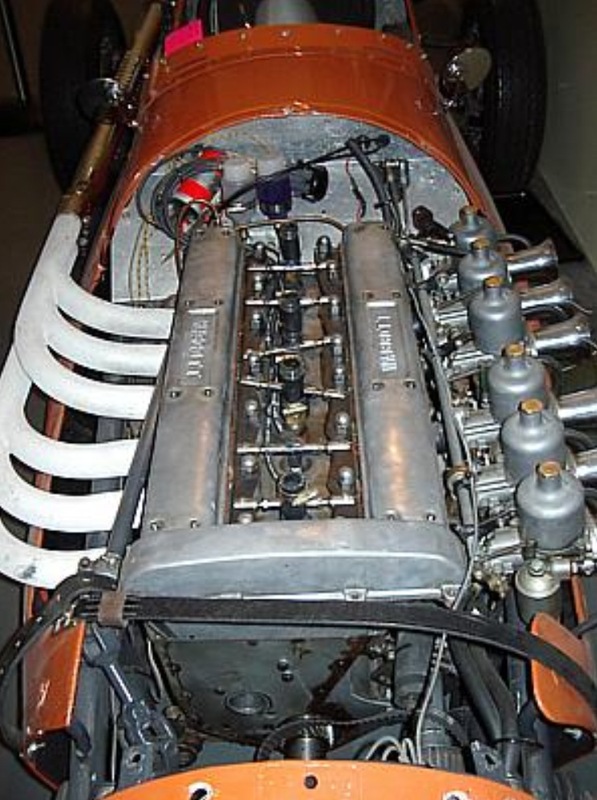 The Cooper Bristols were built as 2 litre European F2 cars, the engine was the BMW 328 6 cylinder design, which fell into Bristols’ hands as part of WW2 reparation compensation and was further developed post war by BMW designer Fritz Fiedler. The 1971cc engine developed circa 127bhp @ 5800rpm. Jack Myers working his magic on the ‘WM’ in his Maroubra, Sydney Southern Beaches workshop. The Holden ‘Grey’ block is at left, the long studs to retain the deep head. The cast aluminium engine/gearbox adaptor is still attached to the block. Diff initially Holden but later Ford, uncertain of which here. MGTC ‘box is in front of the bench. Standard T20 suspension, chassis box section can be seen in th shot as well as ‘body hoops’. 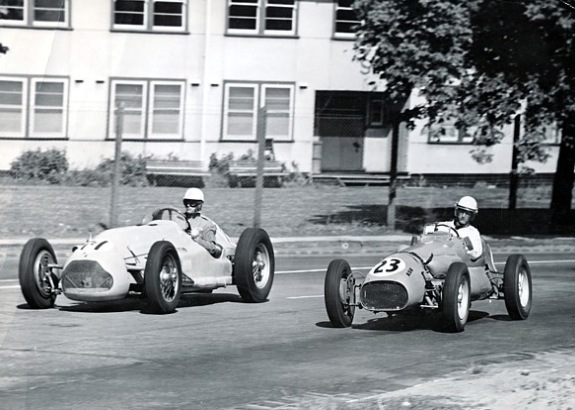 Both these shots were taken in 1957 at Caversham during the AGP weekend. 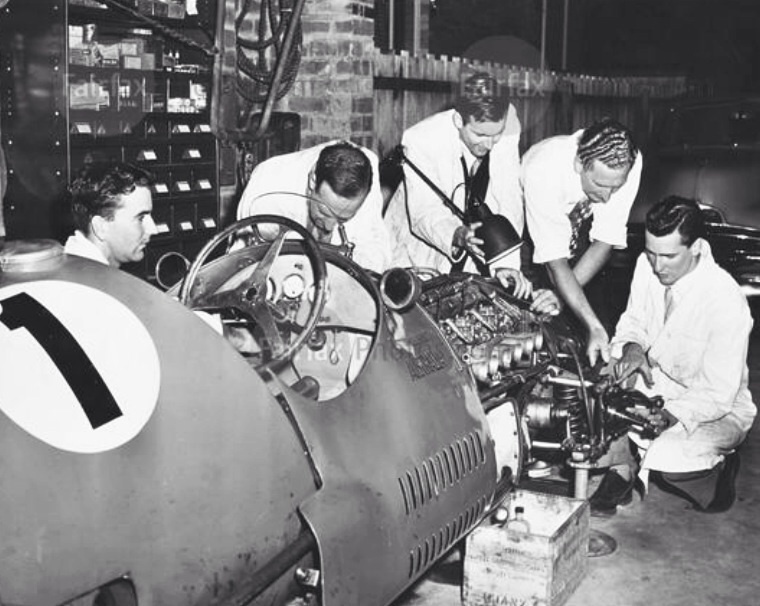 The Holden engine installation was very neatly and professionally executed by Myers, whilst the machine was called the WM Holden, Cooper Holden was perhaps more indicative until the chassis was substantially changed by Jack and his team. Carbs on the engine are Amals at this point, 6 1 3/4 inch SU’s later fitted. Scratchy unattributed shot of Moss circulating in the WM at Cumberland Park, fashions of the day to the fore! Posted: July 19, 2014 in Obscurities, Who,What,Where & When...? 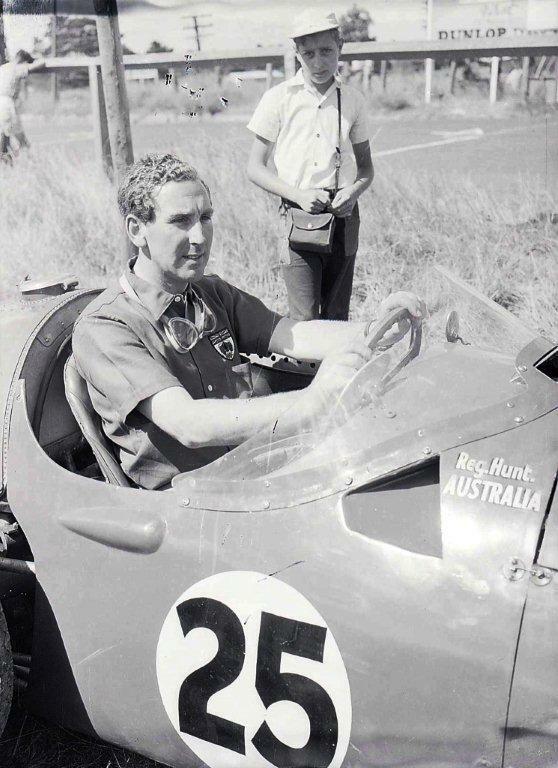 Reg Hunt, Murrays Corner, Bathurst, Bathurst 100 in April 1956 driving his recently acquired ex-works Maserati 250F ‘2516’. 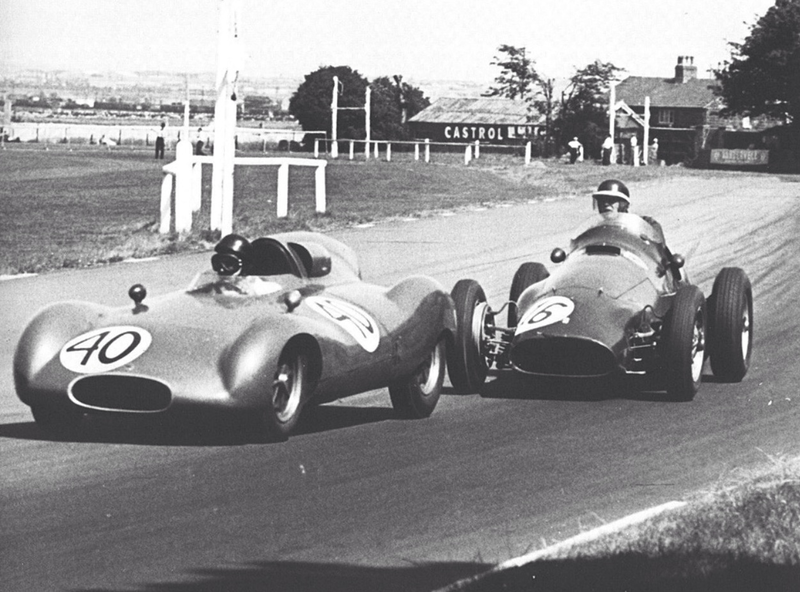 Hunt set fastest race time, the race a handicap won by Lex Davison’s Ferrari 500/625. Many Melburnians will recognise the name as a very successful retailer of Holdens and many other makes from his acreage’s of dealerships fronting the Nepean Highway in Elsternwick. 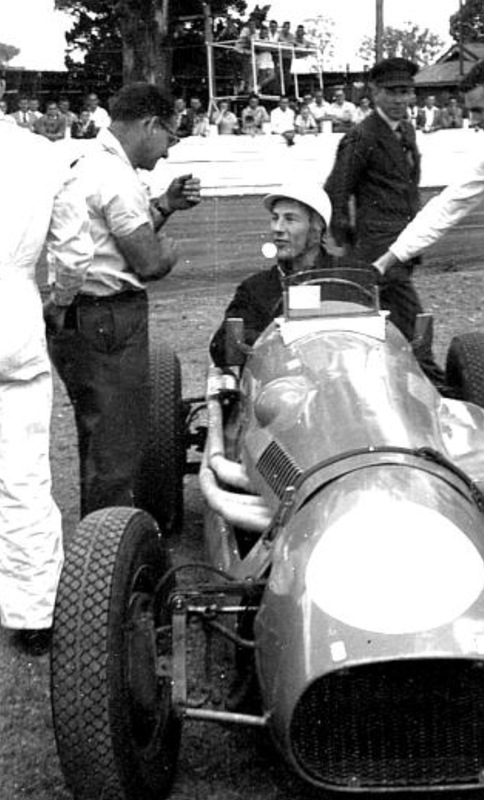 He was also a very successful racer in the 1950’s who retired in his mid 30’s. Little has been written about him. 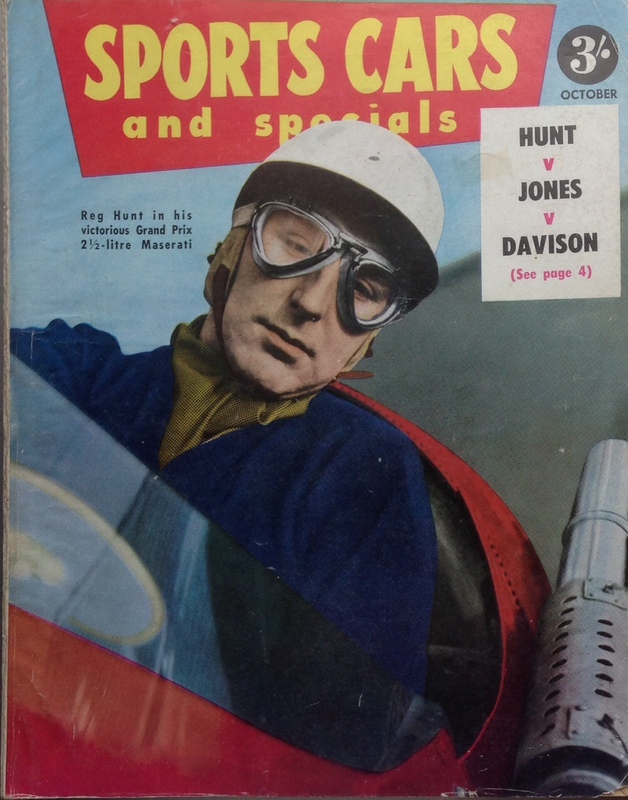 He was ‘up there’ with all of the businessmen/motor dealer/racers of the day; Stan Jones, Lex Davison, Bib Stillwell, Alec Mildren and the rest . 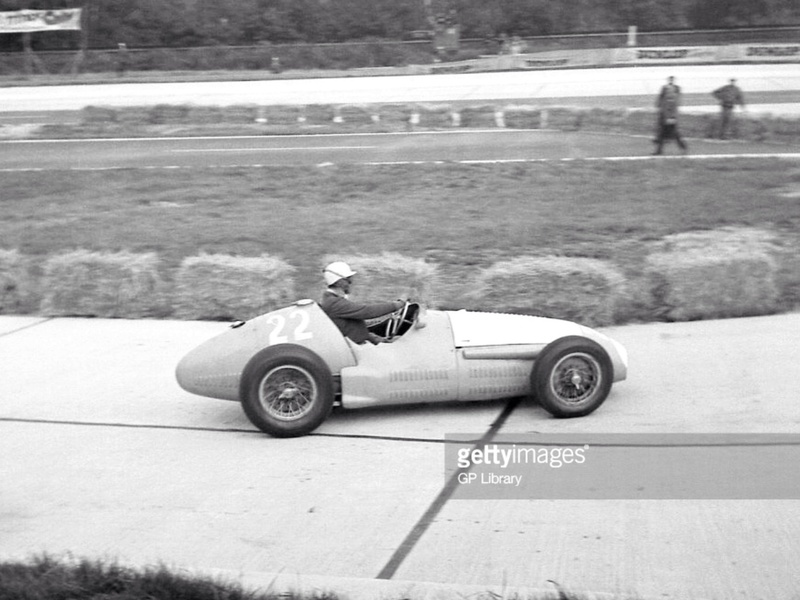 His last racer was an ex-works Maserati 250F ‘2516,’ a car driven by Moss and Jean Behra early in 1956. In this car he was as quick as any of the locals, a great ‘mighta-been’ is what he could have achieved had he not retired to focus on family and his expanding automotive empire.